Naturalists tell us that animals which exist predominantly or entirely in the dark, possess particular faculties that enable them to live in a world that to the rest of us is so abnormal. Yet for these animals, this habitat of darkness for which they are so superbly equipped, is the most normal. So we could ask what is normal, the darkness or the light? To which we would most probably say that it depends on our perspective – whether we are the night prowlers or the day workers! We could also ask a deeper question. How much of what we take for “normal”, would be “normal” in God’s eyes? We could, maybe should, ask this over all facets of our lives – our attitudes, the way we conduct relationships, the way we work, the way we behave, the ethics and morality we consider acceptable, the state of our health, the fruitfulness of our work … are just some areas we could reflect on. Darkness as a Biblical metaphor describes the state that exists when we are in rebellion against God. It is the result of sin and the legacy of sin. Here, the apostle Paul is not simply saying that we are saved from sin. He is referring to the controlling influence that darkness has over our world. Yes, by the grace and mercy of God, we see his goodness at work – without which we would be truly lost. But we can’t escape from the reality that so much of what we see and experience in the world, is compromised by sin. It’s like seeing the world through a distortion lens. Yet we have lived with the distortions for so long, that we accept it and its shortcomings as normal. The resurrection of Jesus breaks the hold of sin and brings us into the freedom of his new life. In this new life, our perspectives are different. Though our knowledge and understanding may not yet be perfect, we have a new lens through which can view and experience life. It is the perspective of light, not of darkness. It is God’s normality, not the abnormalities of sin. It is the same power that raised Jesus from the dead, working in us (Ephesians 1:19)! It is the strength and power to break through the bondages of sin to live in the abundant life that Jesus promises us (John 10:10). It is gaining God’s perspective that lifts us above the despair of failure. It is redefining normal in God’s terms, not accepting the damage caused by sin, as normality. It is experiencing God’s supernatural in the natural. 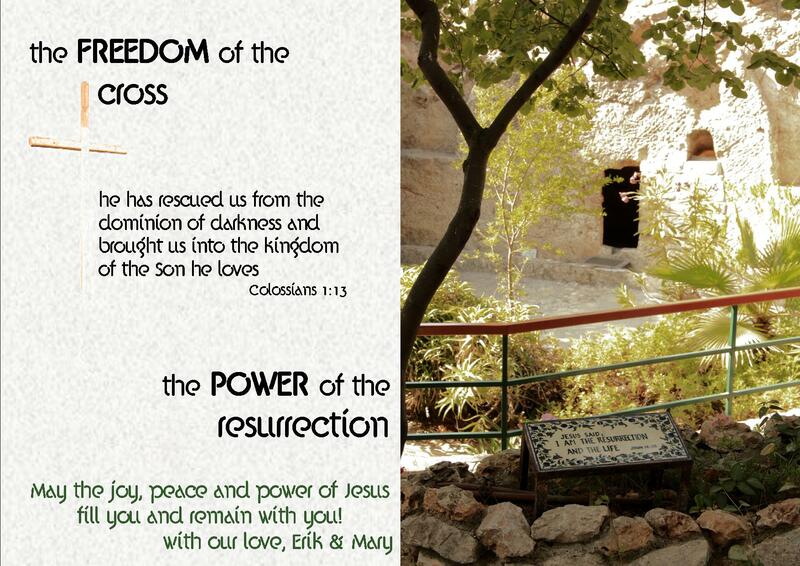 May the resurrection life and light of Jesus fill you through his Holy Spirit.